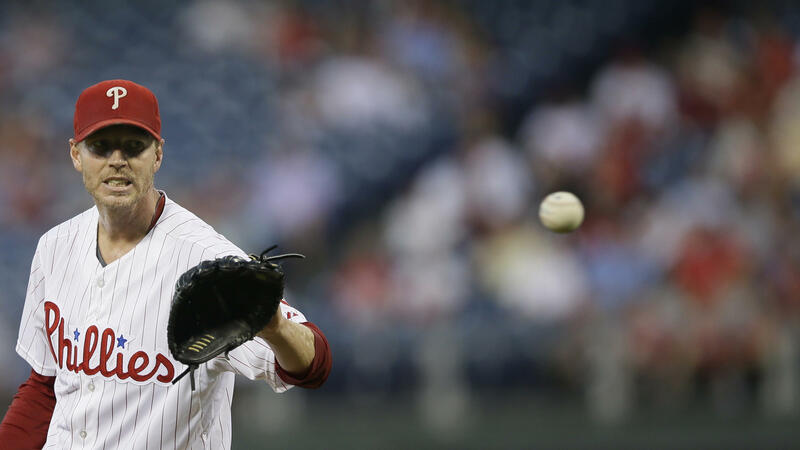 Roy Halladay won two Cy Young awards and was an eight-time All-Star during his 16 years in the major leagues. He's shown during his final season, in 2013. For years, Roy Halladay stood not only atop the pitcher's mound but atop Major League Baseball, too. Over the course of his career, the pitcher racked up two Cy Young awards and earned All-Star honors eight times. Even after retirement, he also achieved great heights — albeit in a different way, getting his pilot's license and posting often on social media about his beloved new plane. On Tuesday, that new avocation ended in tragedy. The Pasco County (Fla.) Sheriff's Department confirmed that Halladay's small aircraft crashed in the waters off Florida, killing him at age 40. "Many know Roy as a Cy Young winner, a future Hall of Famer, one of the best pitchers to ever pitch in the game of baseball. We know Roy as a person, as a caring husband who loved his wife, Brandy, and loved his two boys tremendously," Sheriff Chris Nocco said at a news conference Tuesday. Nocco said Halladay even donated a dog to the sheriff's office to serve as a K-9 officer. "He was probably one of the most humble human beings you'll ever meet," Nocco continued, later adding:. "You wouldn't know what Roy did because Roy would never tell you what he did. And that's the legacy of a great man." "We are numb over the very tragic news about Roy Halladay's untimely death," one of his former teams, the Philadelphia Phillies, said in a statement. "There are no words to describe the sadness that the entire Phillies family is feeling over the loss of one of the most respected human beings to ever play the game." During Halladay's 16 years in the league, he recorded a staggering 67 complete games — the most by any one player since he made his professional debut in 1998, according to MLB network columnist Jon Morosi. In 2010, he also pitched what was then only the 20th perfect game in MLB history. Lately, as discussion of his career turned to when he would be inducted into the Hall of Fame, Halladay himself turned to another passion: flight. Just last month, ICON Aircraft delivered one of its aircraft — the first of its kind — to Halladay, prompting a meditation on his love for flying. "I've been dreaming about flying since I was a boy but was only able to become a pilot once I retired from baseball," said Halladay, before going on to praise the plane he received, an A5. In May, a prototype of the same aircraft claimed the lives of two ICON employees in a crash in California. However, a report released by the National Transportation Safety Board attributed that accident to pilot error. Authorities say they found him after a private resident reported a crash at about midday and officials launched an hours-long search-and-rescue effort. Law enforcement ultimately found Halladay's plane in shallow water, with only Halladay onboard. Nocco asked that people give the late pitcher's family privacy. On social media, his loss drew an outpouring of support from friends, teammates, rivals and even some admirers, whom Halladay inspired to pursue baseball themselves. It was June 11, 2011. And the University of Connecticut Huskies had a lot on the line that night. A win would send them to the NCAA Super Regional -- a contest UConn had never reached. And the Major League Baseball draft was happening at the same time. George Springer was playing centerfield. He was also about to become a multi-millionaire in the draft. 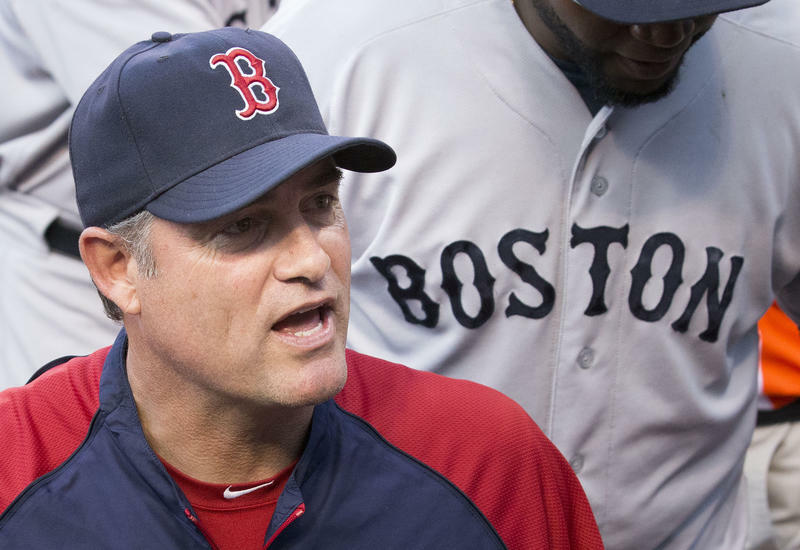 The Boston Red Sox have fired manager John Farrell after the team's second straight loss in the American League Division Series.